New Year, New You is a phrase often said in the new year. 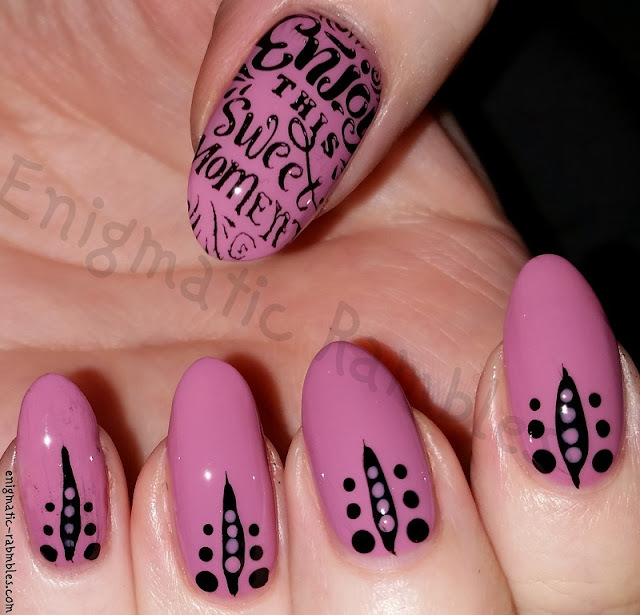 For this nail challenge I thought I would stamp the phrase "enjoy this sweet moment" on to one of my nails because I think it is important to be aware of even the slightest moment of joy. I did the 100 days of happiness photo challenge a few years ago and it is so good to notice that even the simplistic of things is good and to enjoy those far between fleeting moments.